Juliana (center in black shirt) threw a party for Orthodox orphans in Haiti. Juliana wanted her friends to come to a party with a bigger meaning and an emphasis on someone other than herself. She invited some of her friends to bring 12 non-perishable food items to her party, rather than a gift for her. Once ‘the groceries’ arrived, mother and daughter set them up in a large room, to ‘play store’. Each girl was given a bag, and had to ‘shop around’ to fill their bag with the collected items. This helped divide and share the items evenly. They later took the food to a local food bank. “The girls embraced it and what happened amongst these non-Orthodox girls, some of whom do not even belong to a Church, was completely Christian. Beautiful, to say the least. I feel blessed to have been a witness,” said her mother Irena. 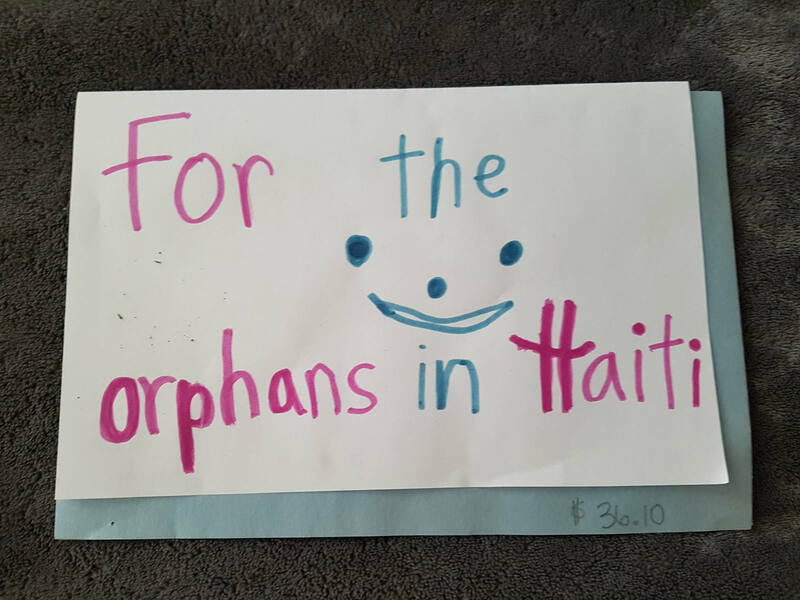 Juliana and her friends collected $36.11 for the orphans and sent the money to the Fund for Assistance. What a beautiful way to teach children to care for others! Thank you, Juliana!